The objective of the Energy4me program is to educate students ages 10 to 17 about the energy industry and engage them to continue studies in STEM subjects. SPE has a vested interest in ensuring that the energy industry’s future workforce consists of competent and progressive-minded individuals. In addition, Energy4me educates and assists teachers with hands-on activities that illustrate technical aspects of engineering. SPE’s Energy4me program values the role teachers and energy professionals play in educating young people. The program recognizes the need to provide factual, non-biased information that can be easily used in classrooms around the globe. Energy4me educational materials were created by teachers for teachers and have been tested in the classroom environment. The program is designed to make an impact with website resources, teacher development, and speaker programs. Help students of all ages find balanced information about energy, in particular oil and gas; access exploration and production industry career guidance; and create a single database listing petroleum engineering schools; SPE section scholarships; local/regional resources for scholarships, internships, and summer jobs/camps; and contacts for SPE student chapters. Currently, Energy4me holds one-day teacher professional development workshops and student education events at pre-selected SPE conferences globally, as well as independently. Each event covers age-specific, hands-on energy lessons and science activities. Hands-on activities at teacher workshops provide educators with interactive, age-appropriate experiments using basic household items that illustrate energy concepts. The experiments are inexpensive and can easily be done in the classroom with their students. Teachers will be more likely to use the activity in their classroom if they have the hands-on experience themselves. 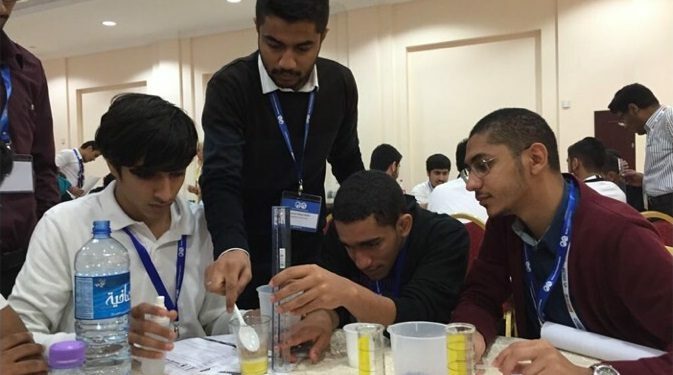 Energy4me has conducted workshops around the globe and enhances sustainable development by allowing students to have greater access to the knowledge required to pursue STEM careers within the energy sector. In addition, it provides students access to SPE’s local scholarships as well as scholarships offered by SPE sections and tertiary institutions around the world.